At Computex, AMD managed to excite many GPU enthusiasts, by not only unleashing their latest cards with the Polaris chip-set on the world, but ensuring they come in at a staggering $199 price point. 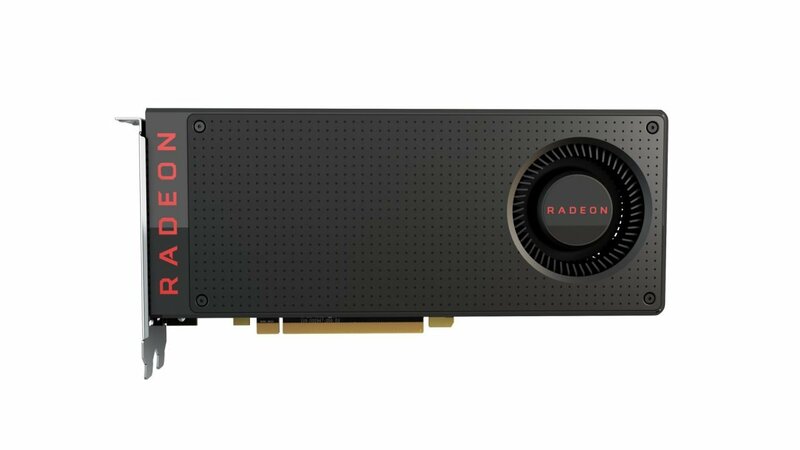 The newest card, titled the Radeon RX 480, launching on June 29th, will have be one very powerful card. The 480 will have 36 CUs, and will offer 5 TFLOPs of compute performance. The card will have a clock speed of 1266 MHz, and will come in two versions a 4GB version and a 8GB, both with 256 GB/s memory bandwidth. AMD have also managed to reduce the power needs of the card, down to 150W, down from 190W in the R9 380. It is hard to say how this compares in real world testing to the new Pascal series from Nvidia, but from price-point and power, it seems to be replacing the R9 380, that was also a solid card for most players needs, and if the numbers are to right, could offer around a 40% increase in performance. Now the real impact of this announcement is for VR. Polaris has been built to be VR ready, and with this latest card, it is will let people who want to jump into VR, do it at a price-point that feels less an impact on the wallet. If you buy this card, and have a relatively modern computer, you should be jumping around your living room in no time, at least if the marketing is to be believed. it is an exciting move by AMD, and a step that will secure their place, at least with budget, in new VR rigs. It is hard to say if this new card will win over any Nvidia Die-hards, but by offering at that price, it is a start. The AMD R9 480 will be launching on June 29th and will start at $199 USD for the base model.